Want To Find The Best Syma Drone? 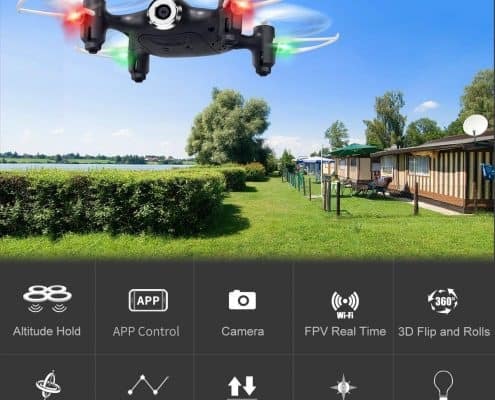 What happens when you want a powerful drone that you can fly outdoors and enjoy the best of drone technology? 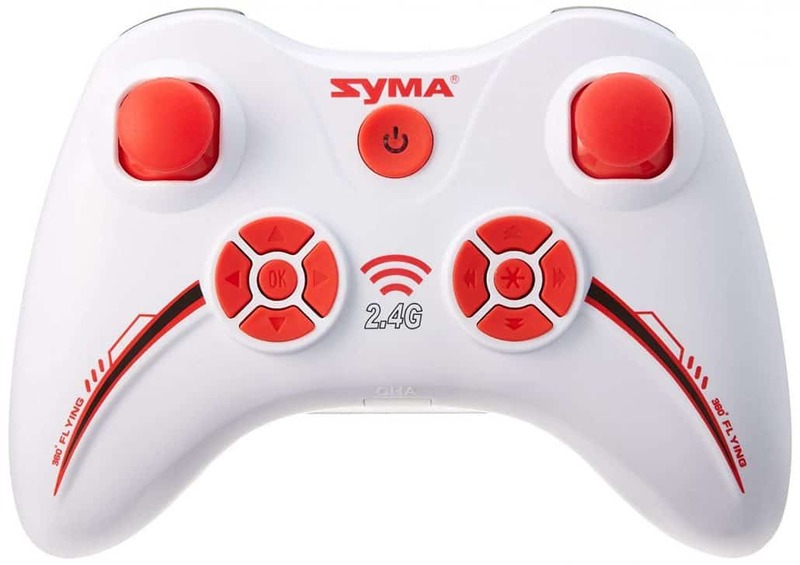 Well, we recommend that you start with this top 9 Syma drones review for your unique, informed decision making needs. 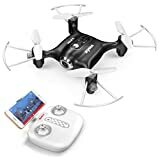 Since the first drone was ever introduced into the consumer market, the typical feature set of some of these things has been improving and is simply amazing. 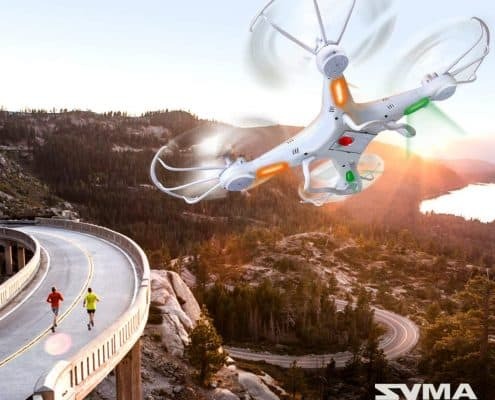 We have come across various notable improvements in features, especially with the unveiling of big drone brands such as Syma. 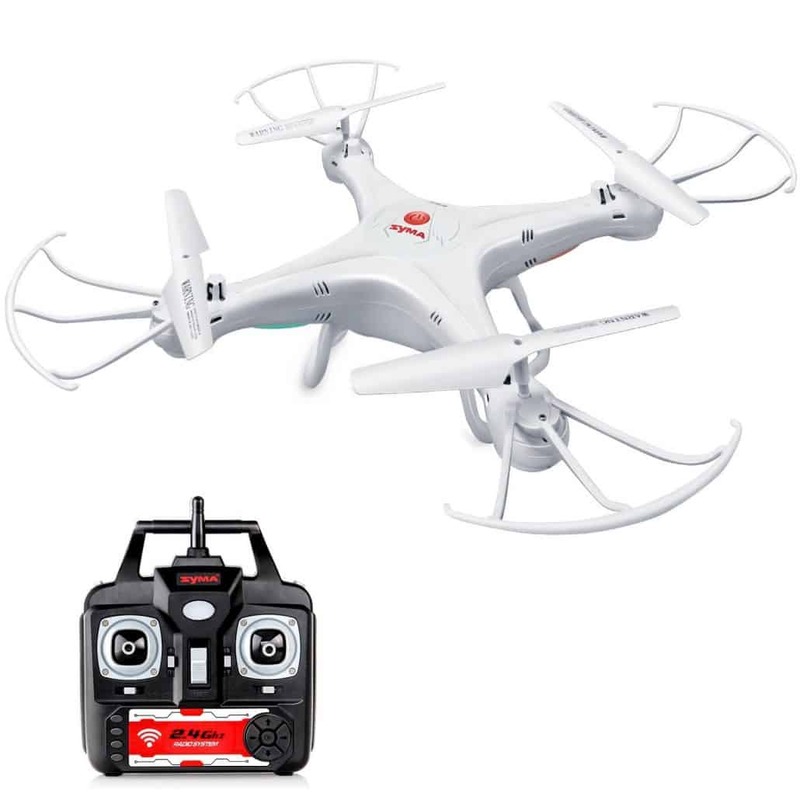 When it comes to choosing the ideal drone, there are some few factors that you should be considered. 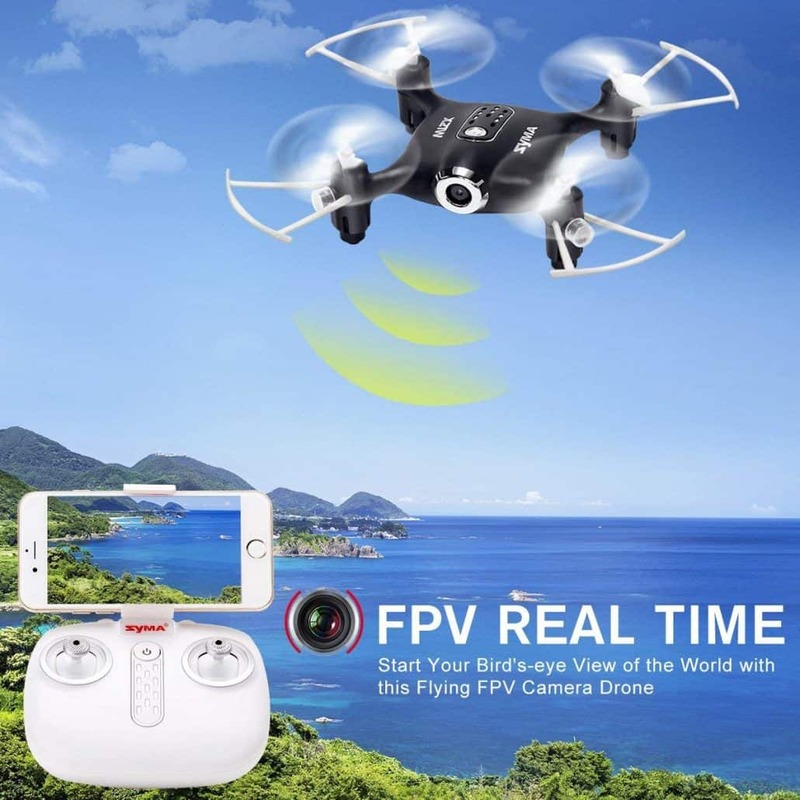 Some of the notable ones including battery power, design features, camera capability, battery life, movement ability, smart functionalities, brand manufacturers and more. 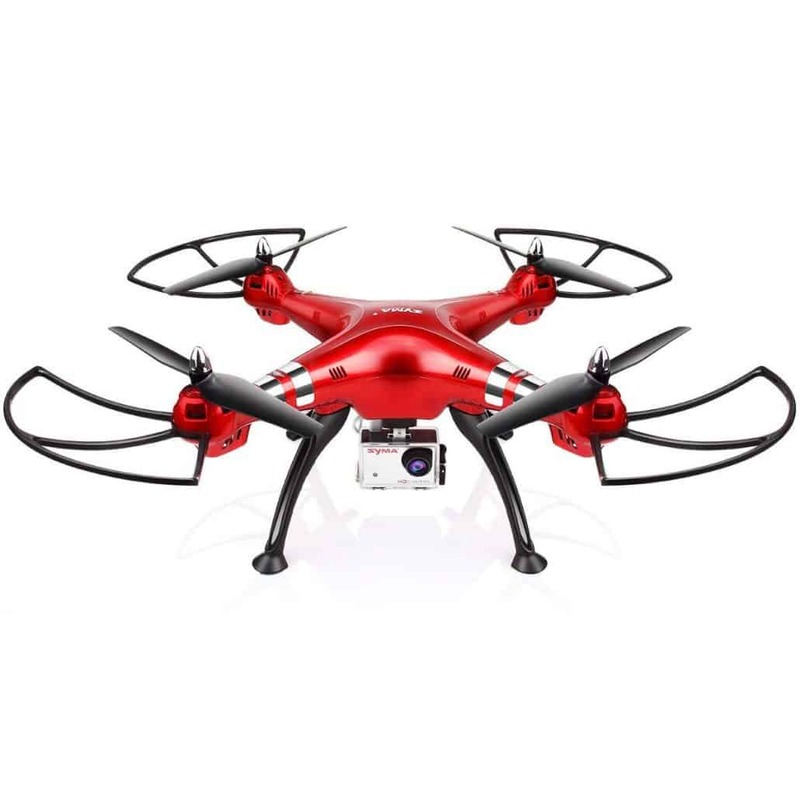 We considered all these features when choosing these flagship drones for your needs. 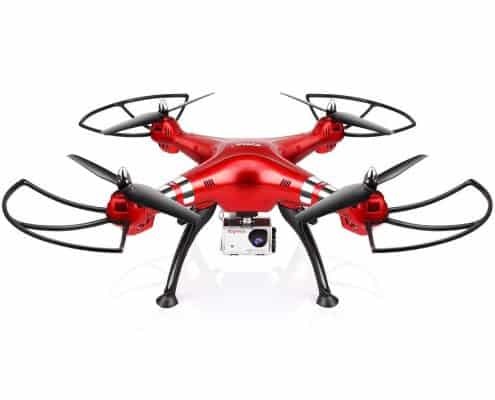 Whether you want a drone for professional purposes or you are simply a drone enthusiasts, choosing the appropriate brand is often an important factor. 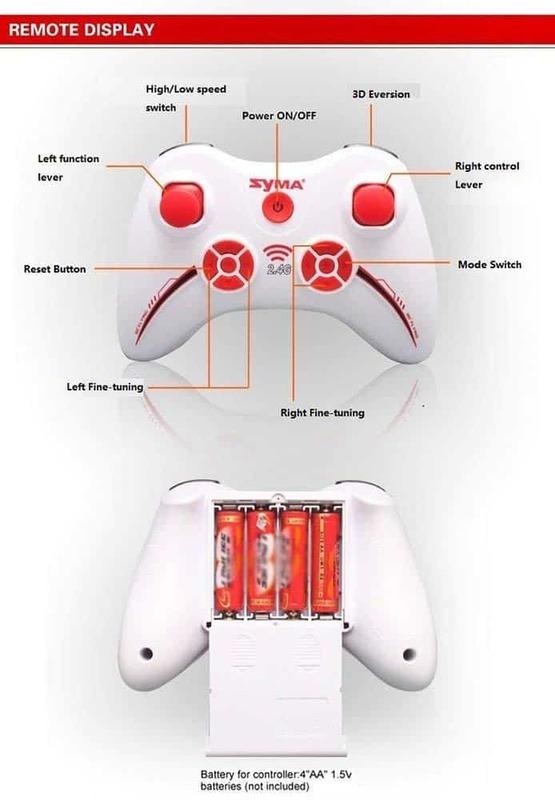 Syma brand has also done well to ensure that the drones have special flight assistance features. 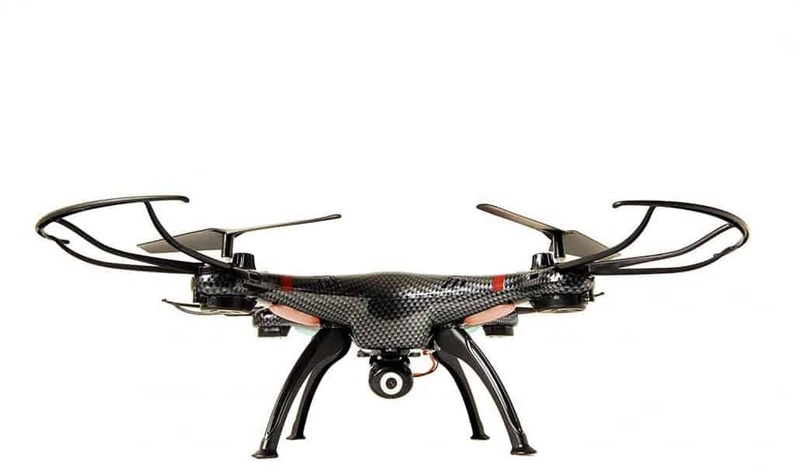 As a result, users can fly syma drones even in areas with clutter or tight indoor spaces. 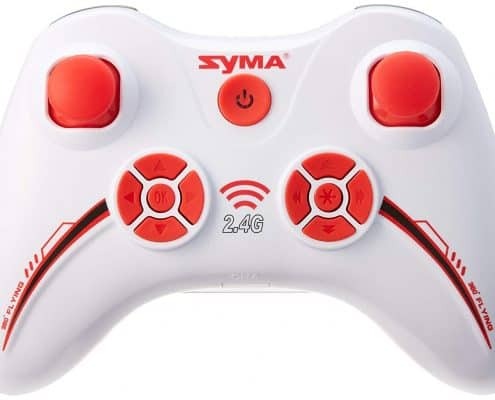 This is why we recommend the Syma brand, which has been producing high-quality products for well over ten years. 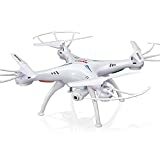 These drones are powerful, and they also come with innovative features like the return to home feature and low battery power notifications. 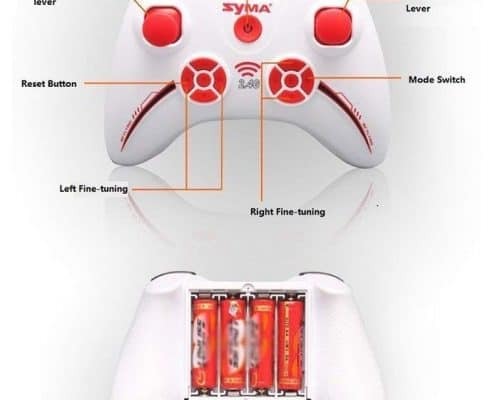 The controllers are also simple to use and with exceptional connectivity capabilities. 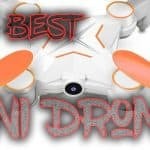 So what are the best Syma Drones this 2019 you ask? 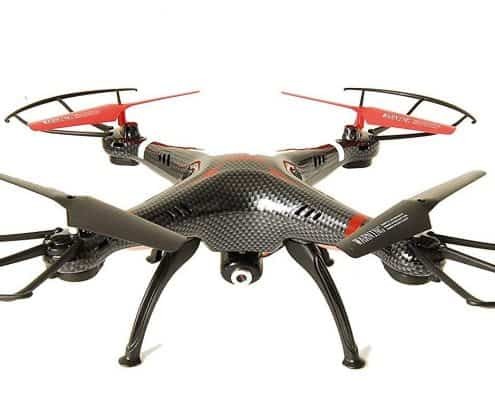 These drones offer solid performance and impressive affordability benefits. 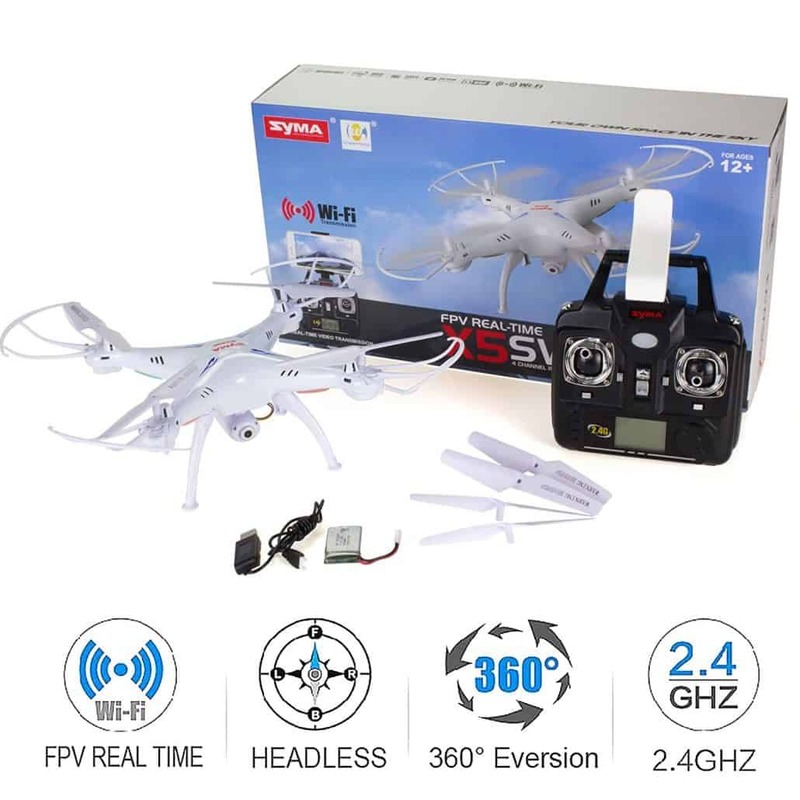 Whether you are a professional or simply an enthusiast, these Syma drones will provide meaningful performance each time. 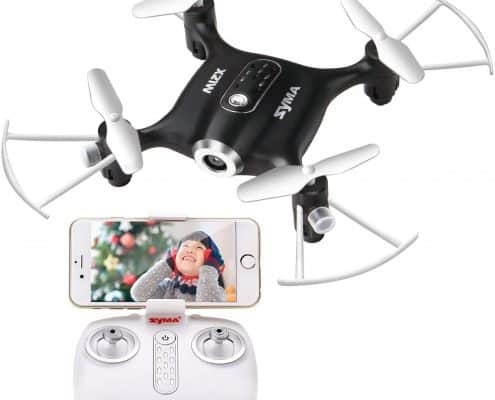 Change the way in which you experience the outdoors by using the Syma X21W Drone that is the newest Syma drone to come with the multi-feature design. This simple to use design makes it perfect for kids and novice users as well. 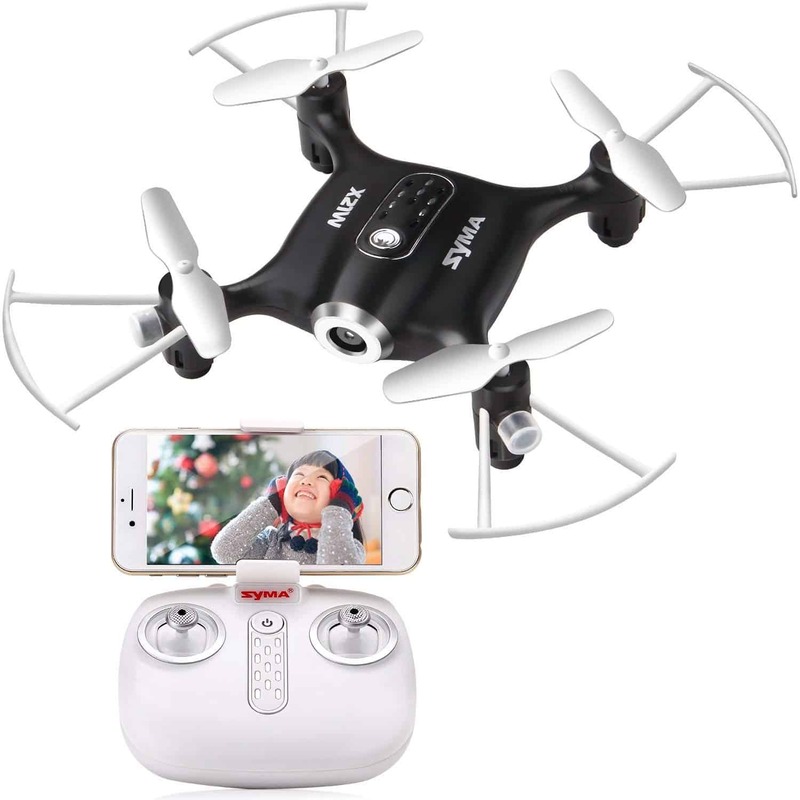 With the inclusion of the 0.3MP camera with Wi-fi and FPV function, this camera can capture wonderful moments with exceptional results. 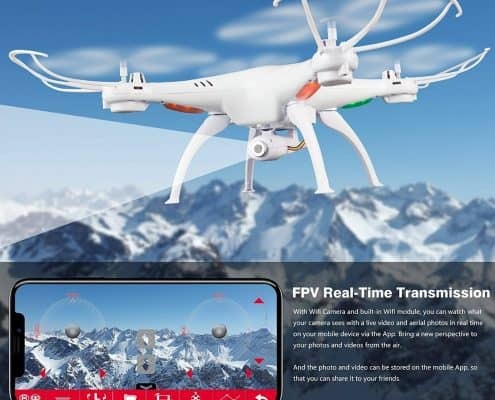 More so, it also has an excellent flight plan that lets you use the `SYMA GO` app at your fingertips. 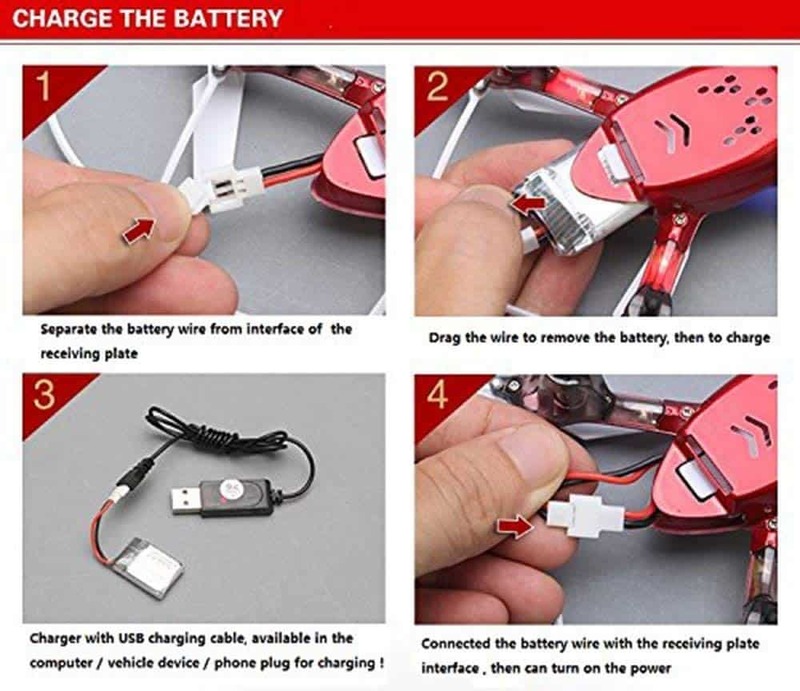 All you need to id to use draw a route on the screen and the drone will go into the autopilot mode. 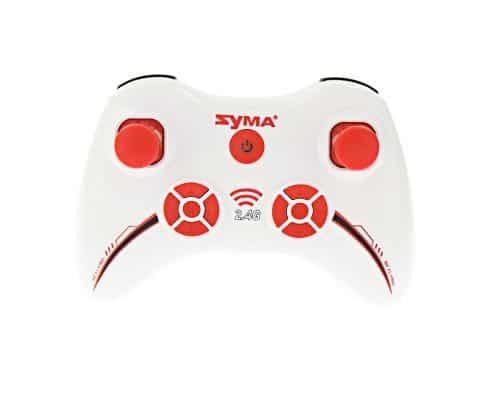 Besides that, it also provides unique app control with the inclusion of the remote control function of the app and its compatible with various OS types. 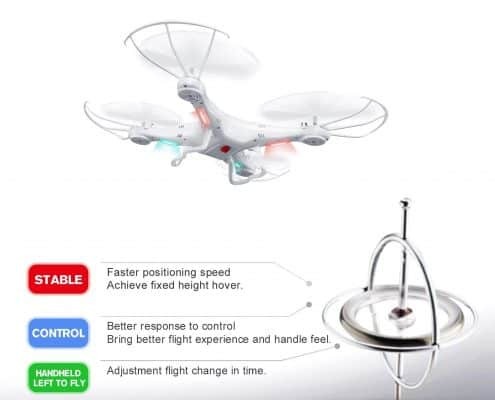 As a result, users can experience flying without having to use a transmitter. 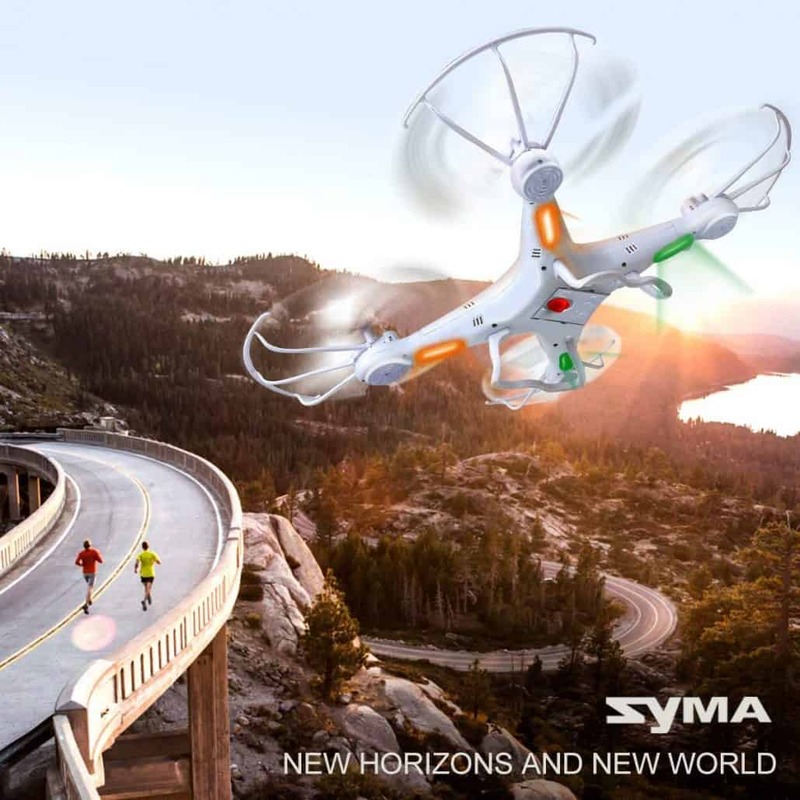 This Syma Drone has a six-axis gyro quad rotorcraft that offers optimal stability, and it can easily implement various types of flight movement. 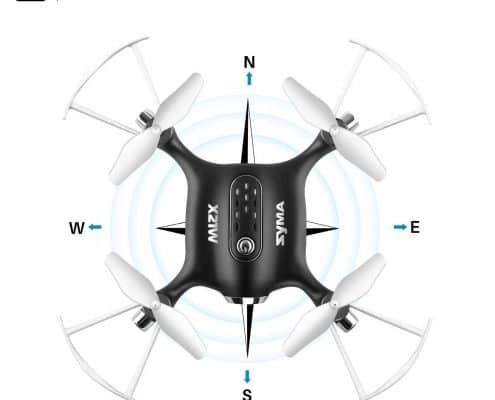 The one key takeoff and landing feature ensures the drone takes or returns to the position where it took off. 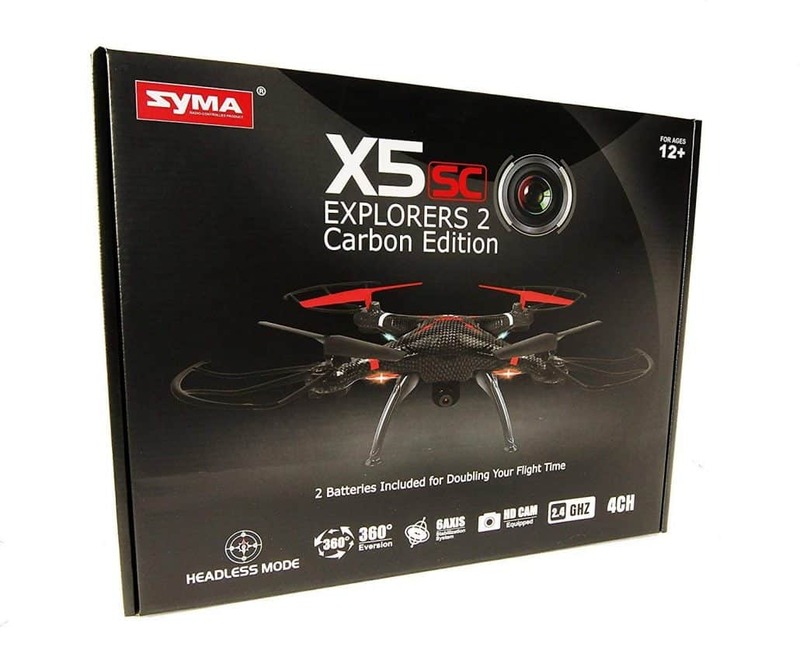 Realize what it takes to achieve your unique goals when it comes to drone flight by using the Syma X5A Quadcopter. 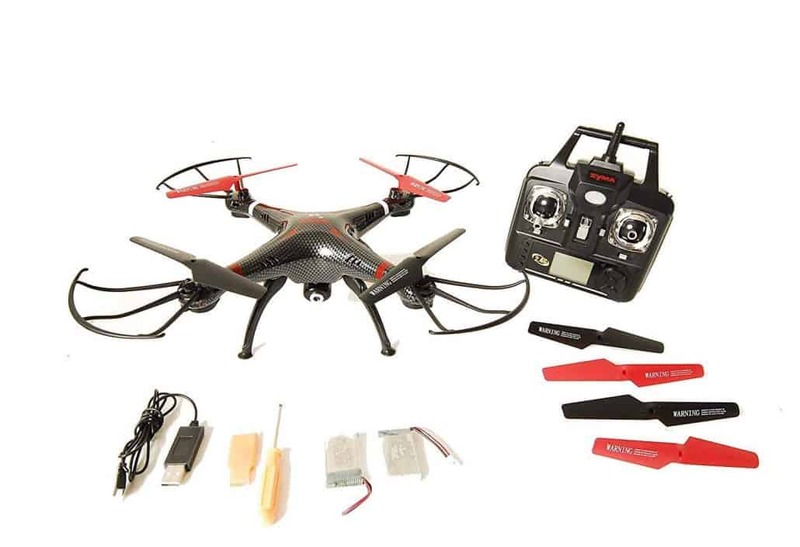 It comes with a powerful 3.7-volt battery that provides an average of 7 minutes of flight time. 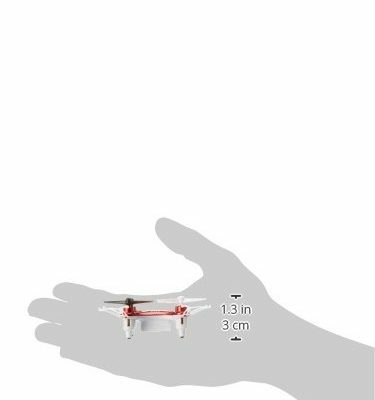 More so, the inclusion of the 2.4Ghz provides an exceptional frequency and bandwidth level to suit your needs. 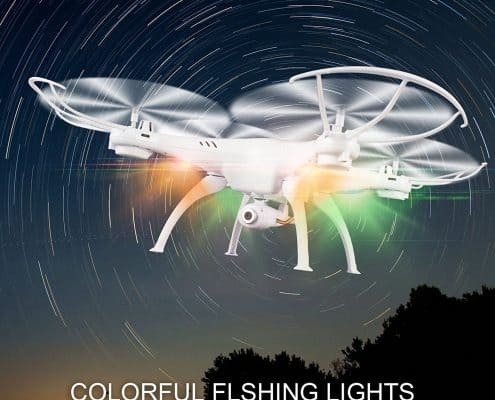 It also comprises of unique spread spectrum technology for further remote distance. 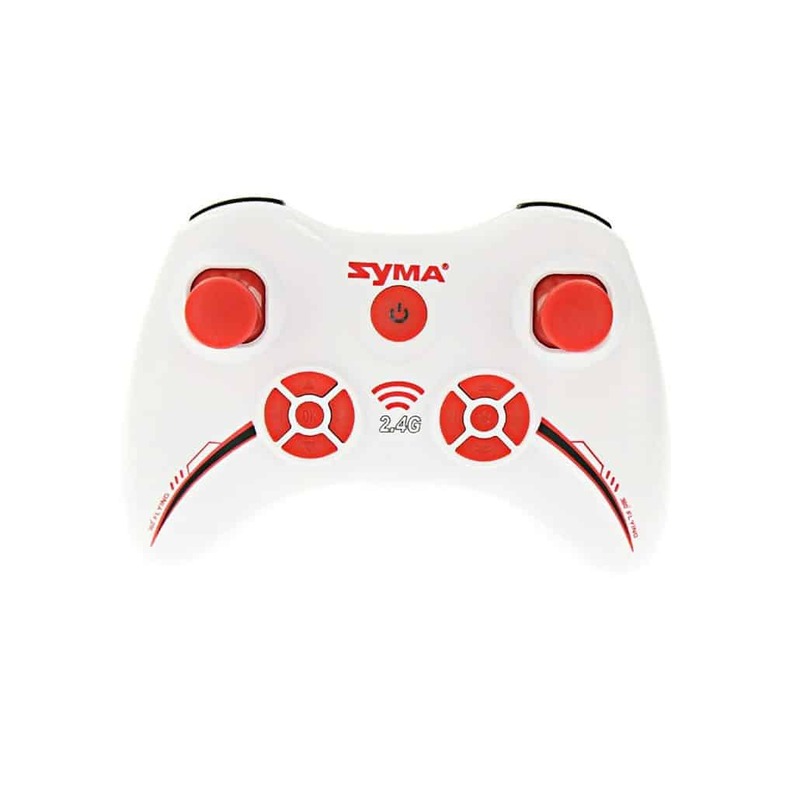 This Syma X5A drone also has a powerful blade protector and highly elastic protective circle. 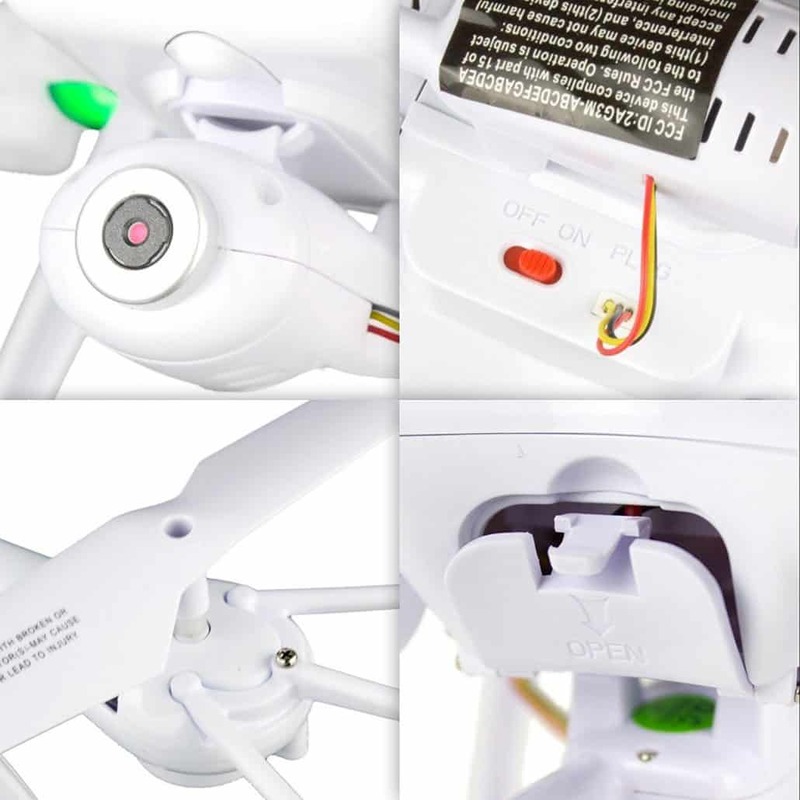 This works to prevent the blades in flight from colliding, and it also improves the anti-fall performance of the drone. 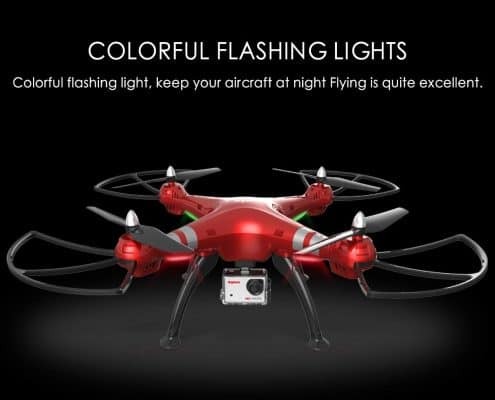 With the inclusion of the colorful flashing lights, this helps you to keep your aircraft flying at night and with exceptional flight results. 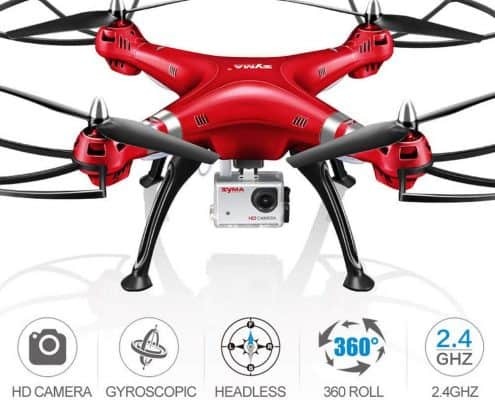 Thanks to the 360-degree eversion feature, this Syma drone provides a continuous roll for the exceptional action and performance benefits. 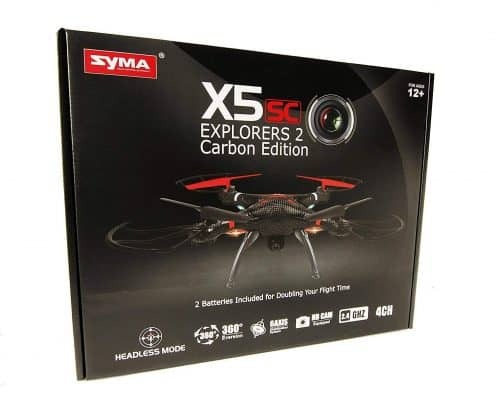 Make a good impression with your drone regime by choosing the JMAZ Syma X5SC Quadcopter. 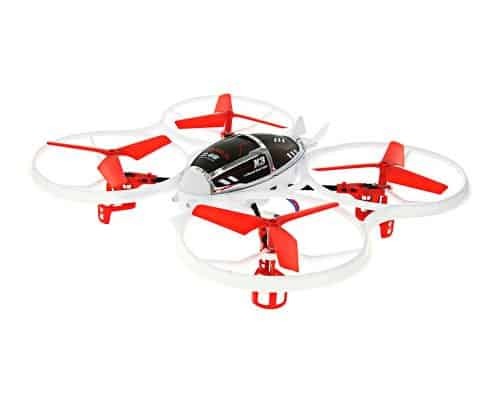 It comes with a powerful six-axis gyro that is equipped with the latest flight control system and a more scheduled flight approach. 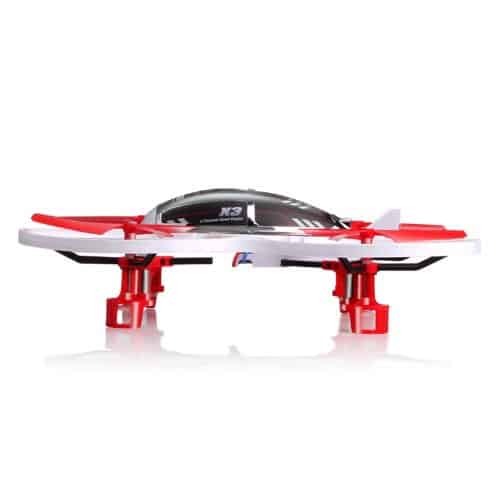 With the additional 360 degrees roll, this provides the ideal action and performance to suit your needs. 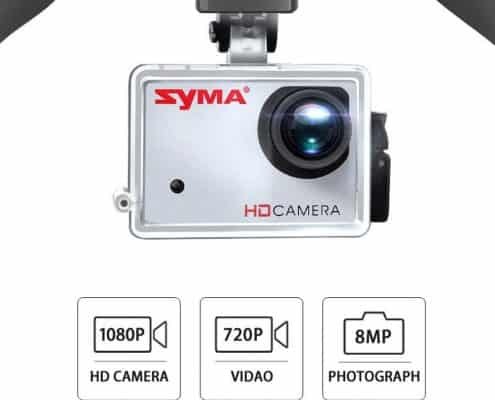 The X5SC is also equipped with an HD camera and 4GB memory card for video and picture storage. 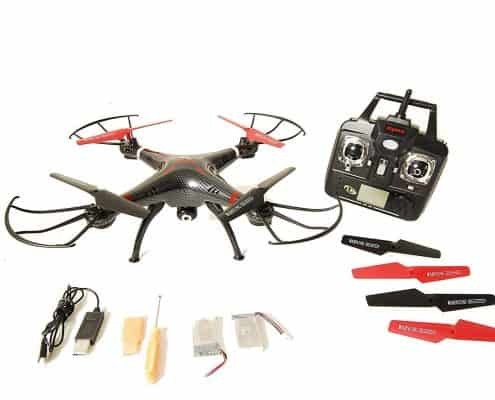 As a result, users can control the aircraft and store photos from flights. 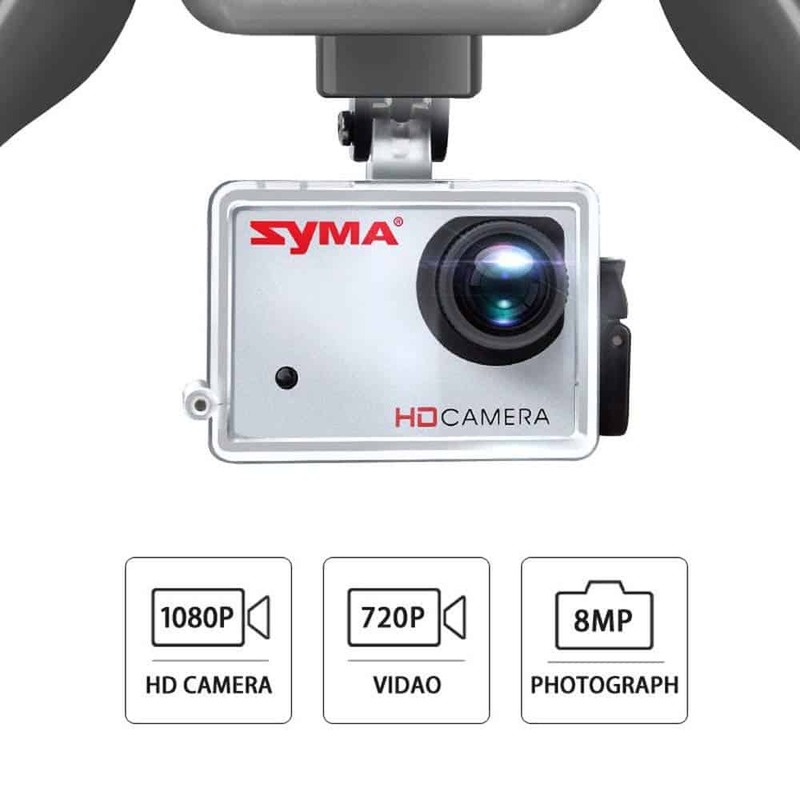 Equip yourself with the Syma X11C Quadcopter camera that comes with a powerful 2MP HD camera that can take photos and videos while flying. 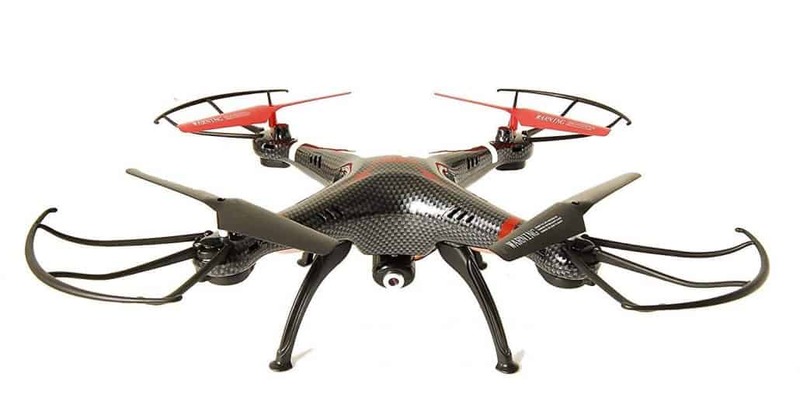 As a result, users can experience an entirely new perspective when it comes to drone flight. 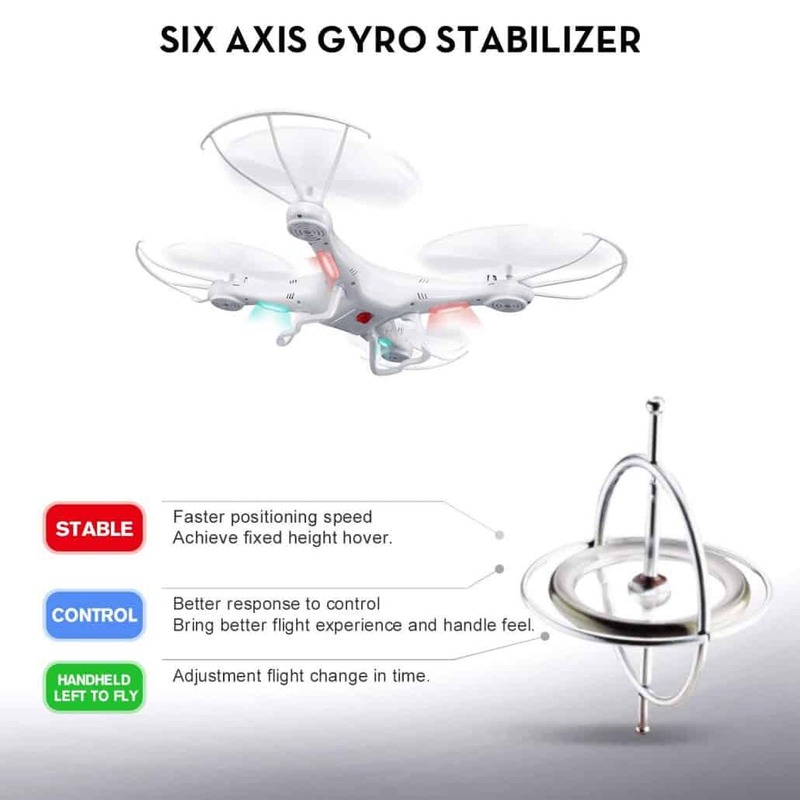 The inclusion of the six-axis gyro direction stabilizer for improved flight control benefits. 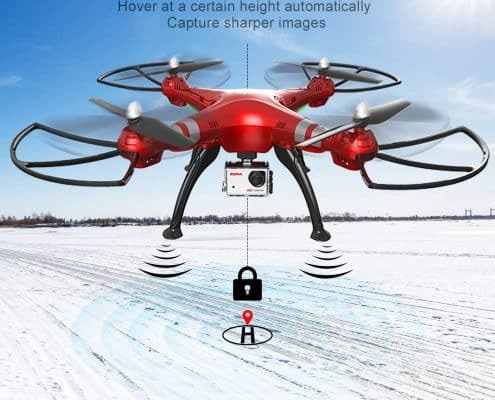 The inclusion of the unique 3D lock provides precise flying benefits to suit your needs. 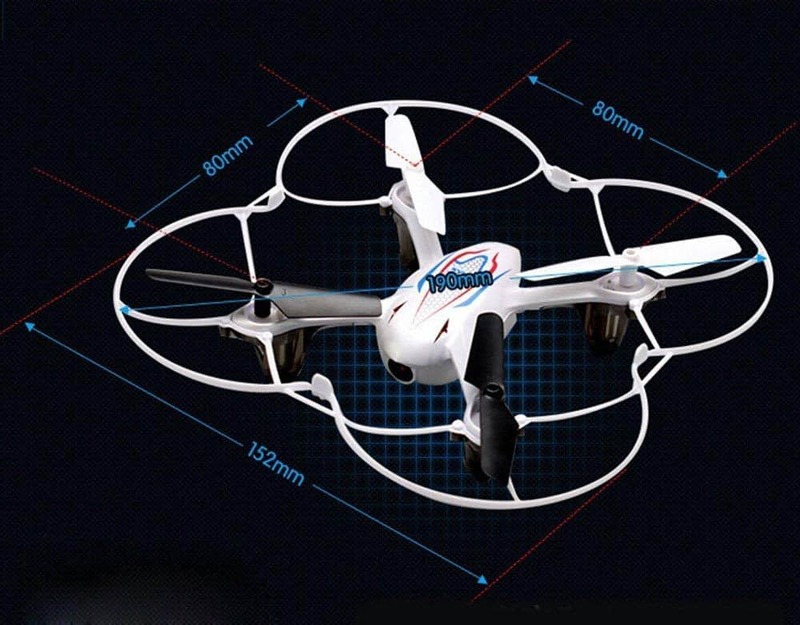 It also has a special 360-degree eversion that lets you continuously roll the Quadcopter in the air. 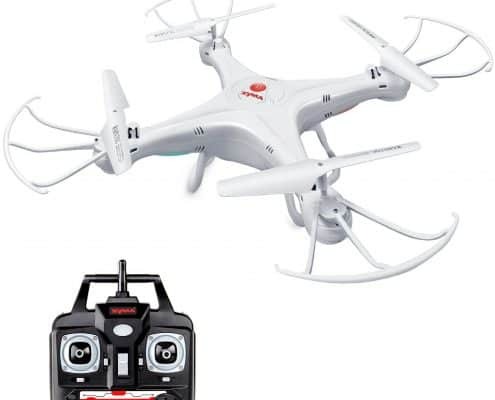 As a result, you can do flips and tricks, while enjoying a fun experience with you and the family. 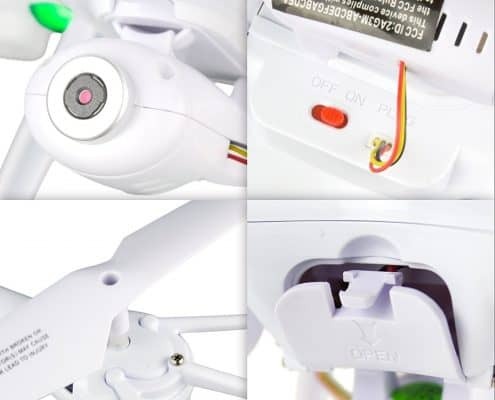 The entire Quadcopter set Is available with a powerful blade protector that is safe for flights, and it also protects the blade when any minor crashes occur. 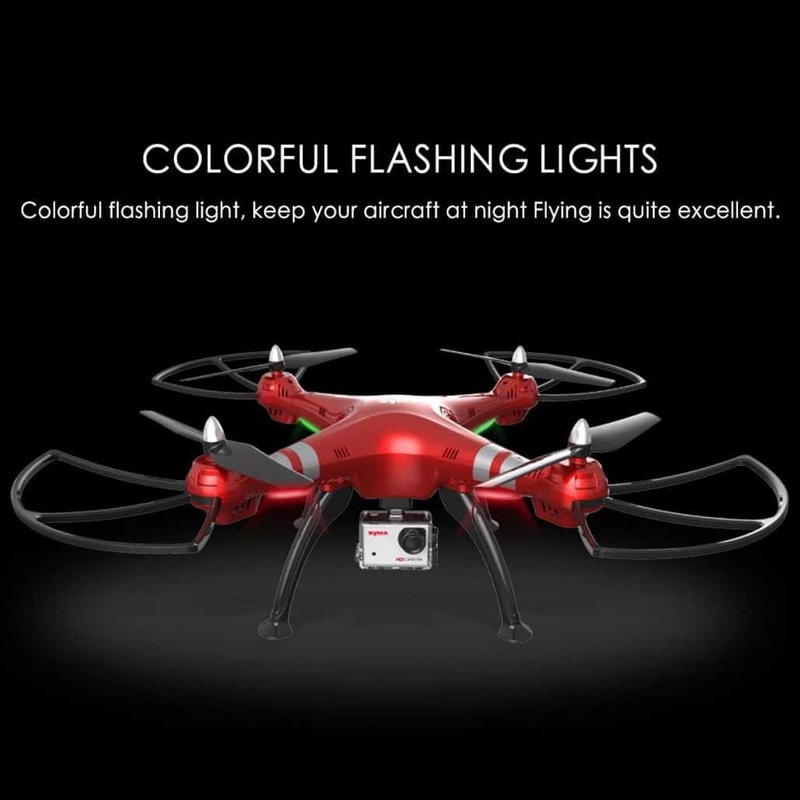 Best of all, the colorful flashing lights make it fun to play during the day or at night as well. 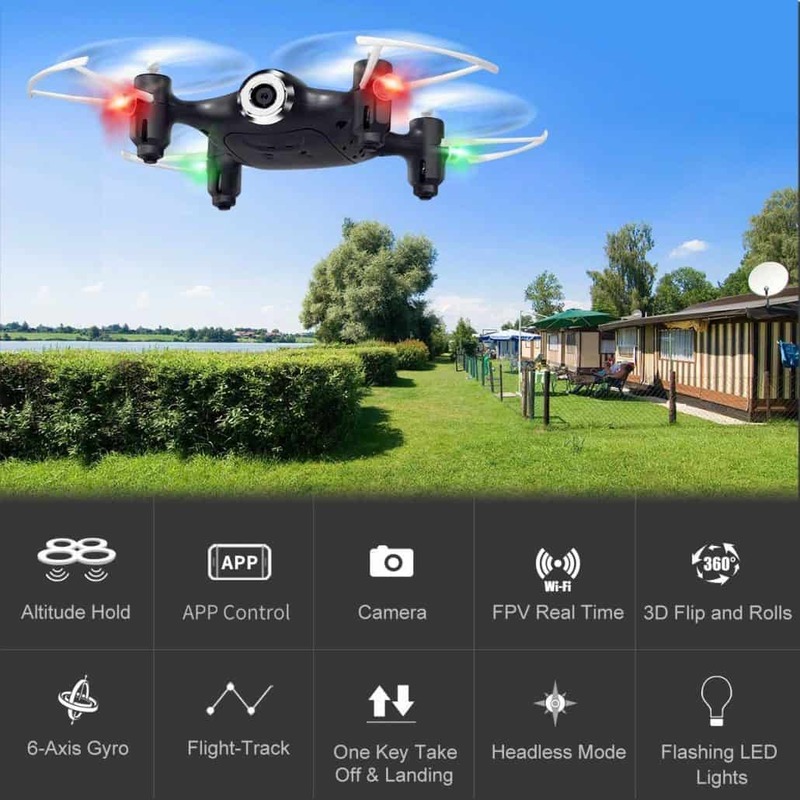 Improve your outdoors regime by considering the Syma X8HG Drone that comes with a powerful 8MP HD camera and 6-axis gyro quad rotorcraft flight feature. 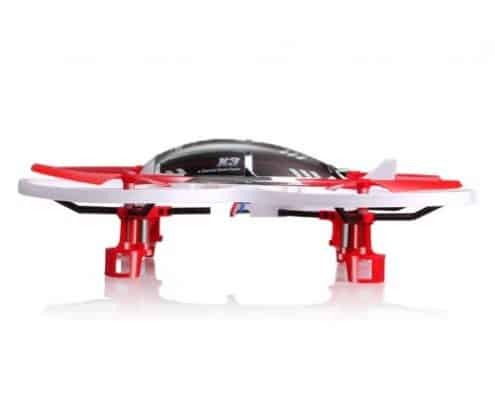 This provides exceptional stability, and it can easily implement various types of flight movements for improved wind resistance, and it’s also simpler to control. 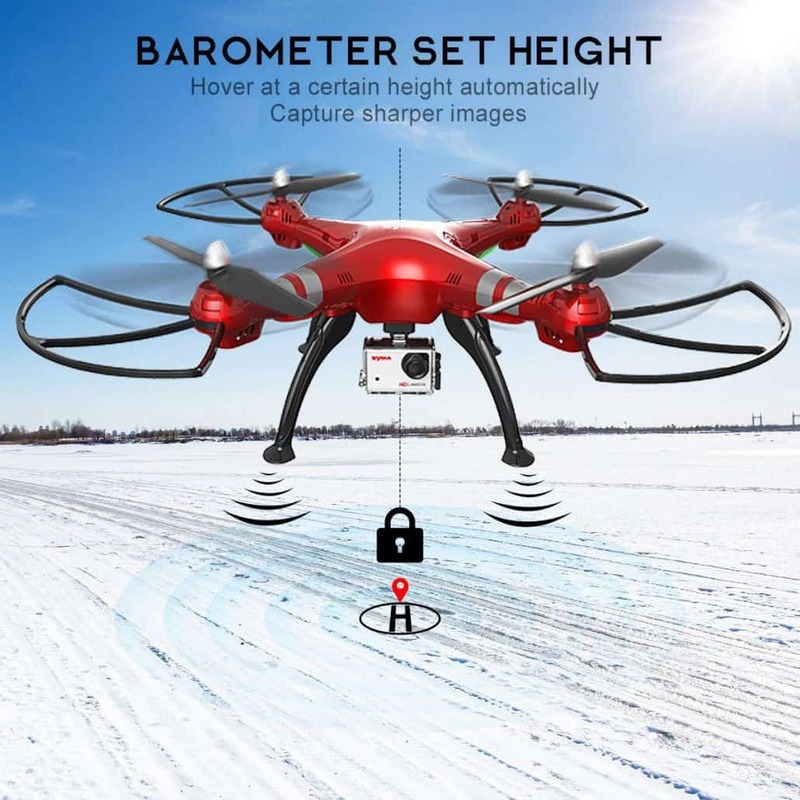 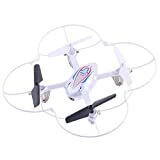 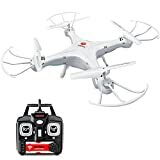 With the inclusion of the 2.4 technology included, this drone has more than one Quadcopter flying, and they will not interfere with each other. 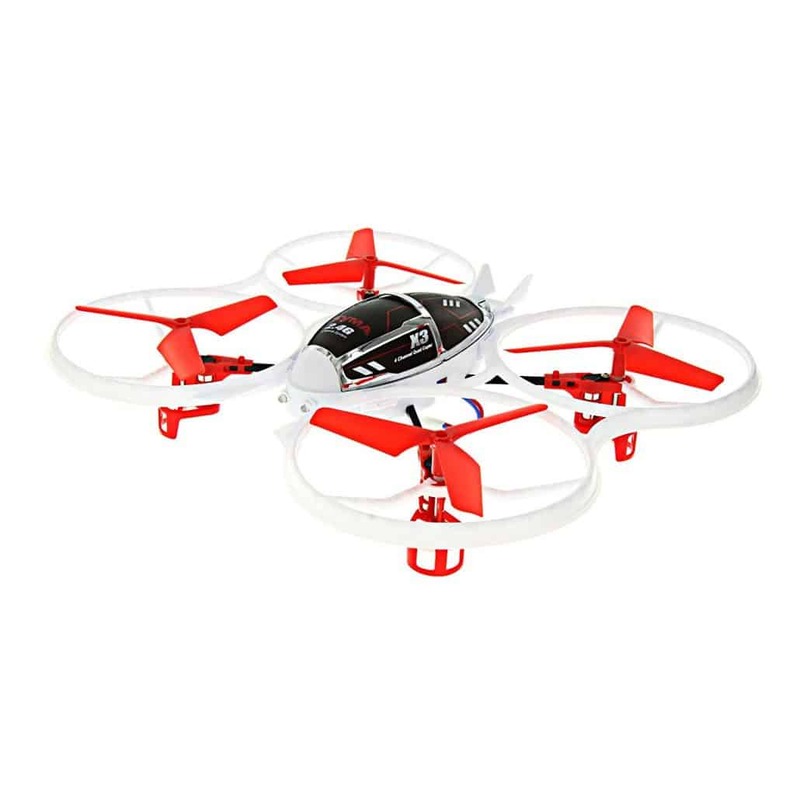 Additionally, the Quadcopter can be used both indoors and outdoors for added user convenience. 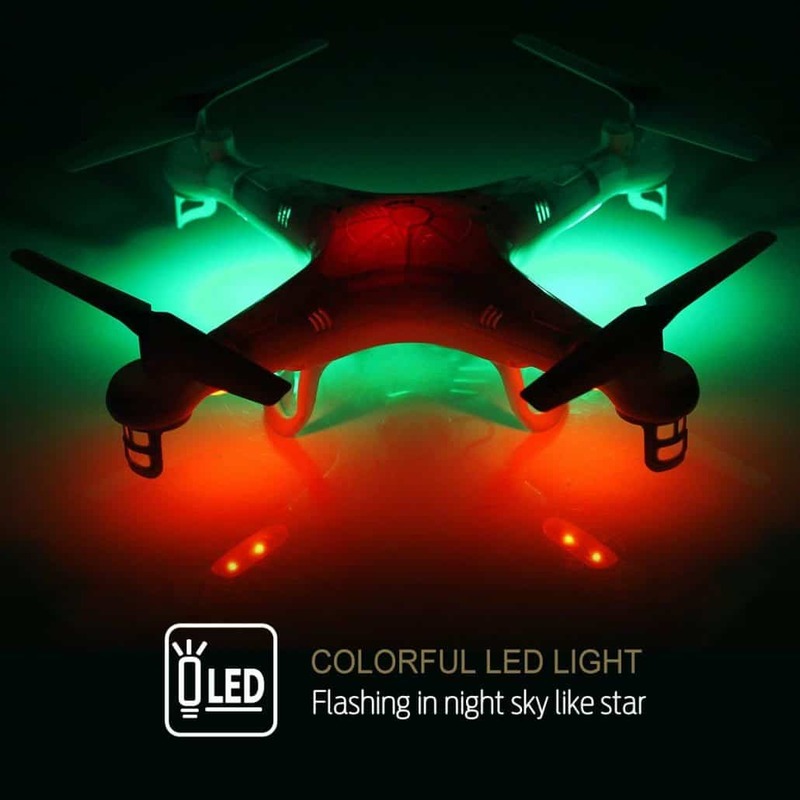 It has a colorful LED light that makes it suitable for flying in almost any conditions. 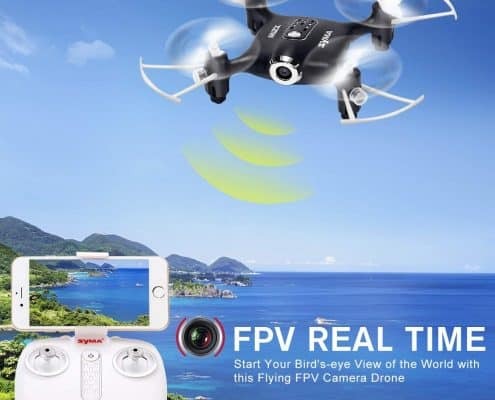 Experience the superior quality of the Cheerwing Syma X5SW-V3 FPV Explorer that comes with various design features for an unrivaled flight experience. 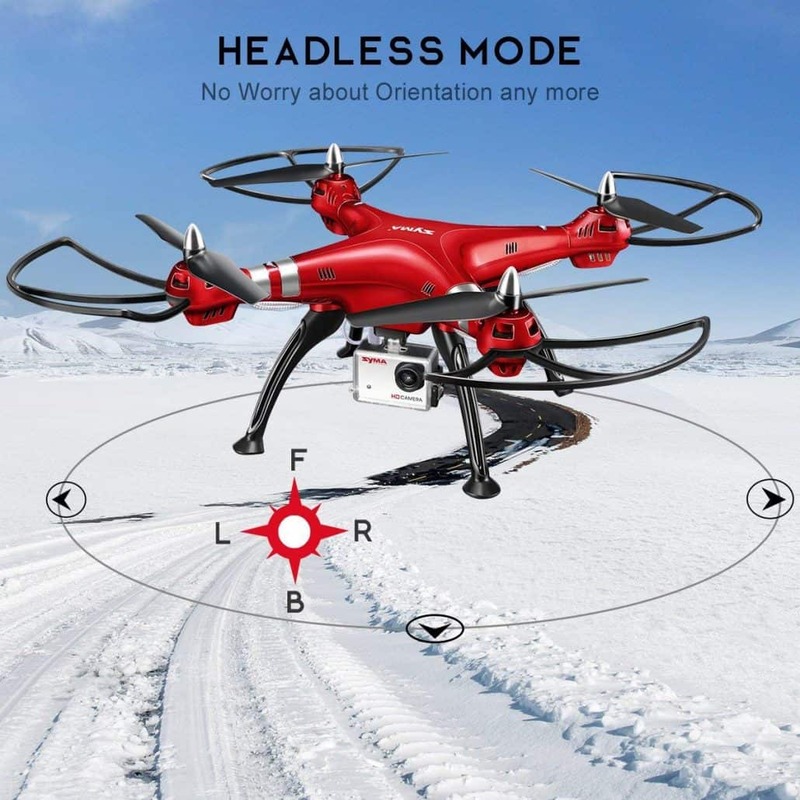 For instance the inclusion of the headless IOC function which works well to help you with in-flight control activities. 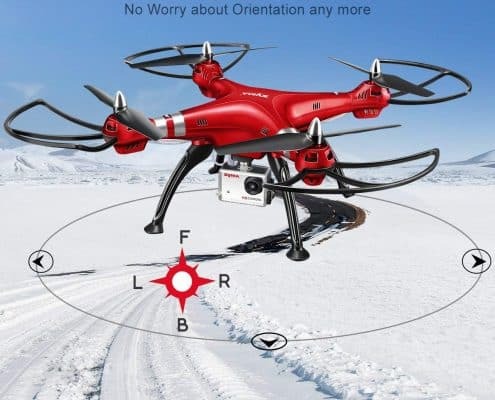 The inclusion of the contemporary 6-axis flight control system and more scheduled flight provides added user convenience. 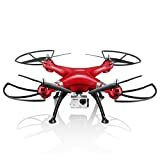 More so, this drone is equipped with an HD camera to capture photos and videos while flying. 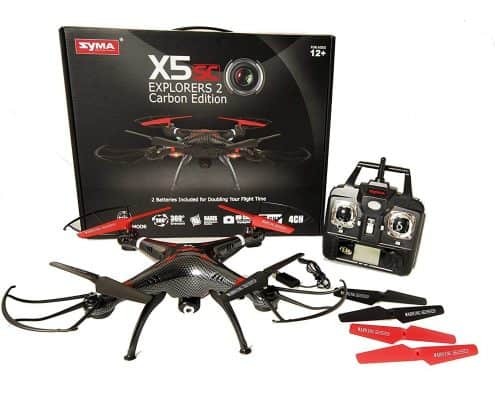 Drone flight has never been more exciting than without the Syma X1 4 Channel quadcopter. 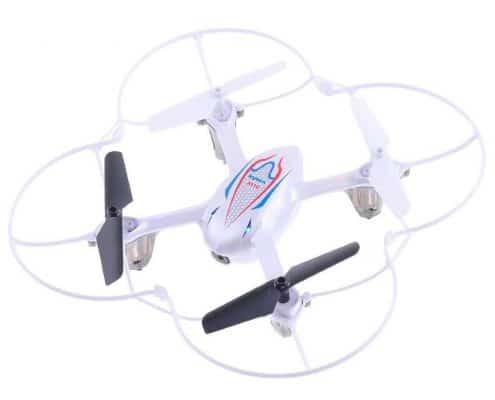 This Syma drone can be used to perform 3D flips, and its agile design makes it perfect for various types of flight applications. 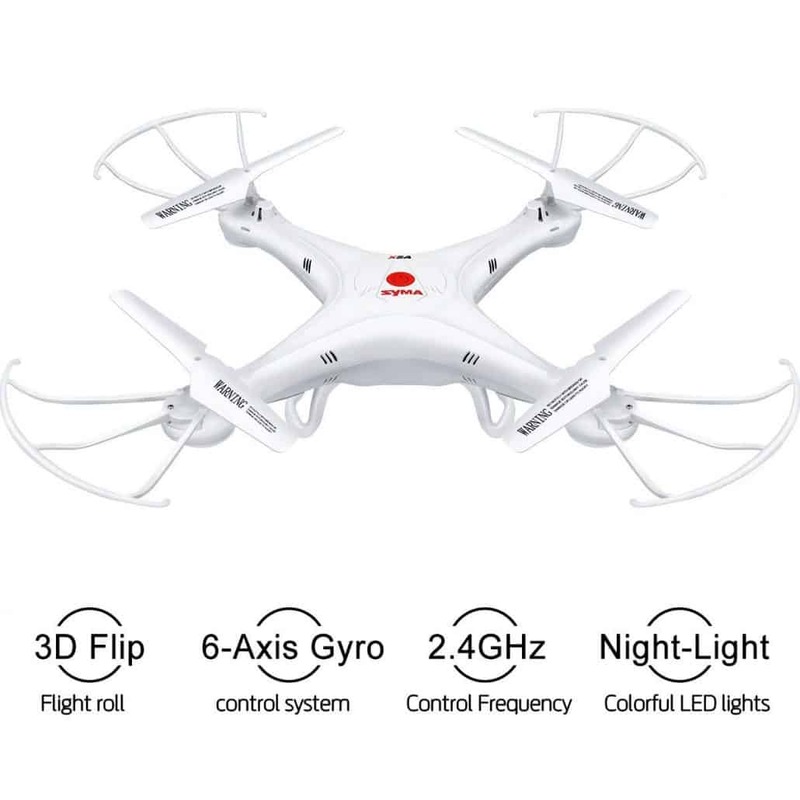 More so, it also has a special 3-axis flight control system with a customizable gyro sensitivity that guarantees stable flights each time. 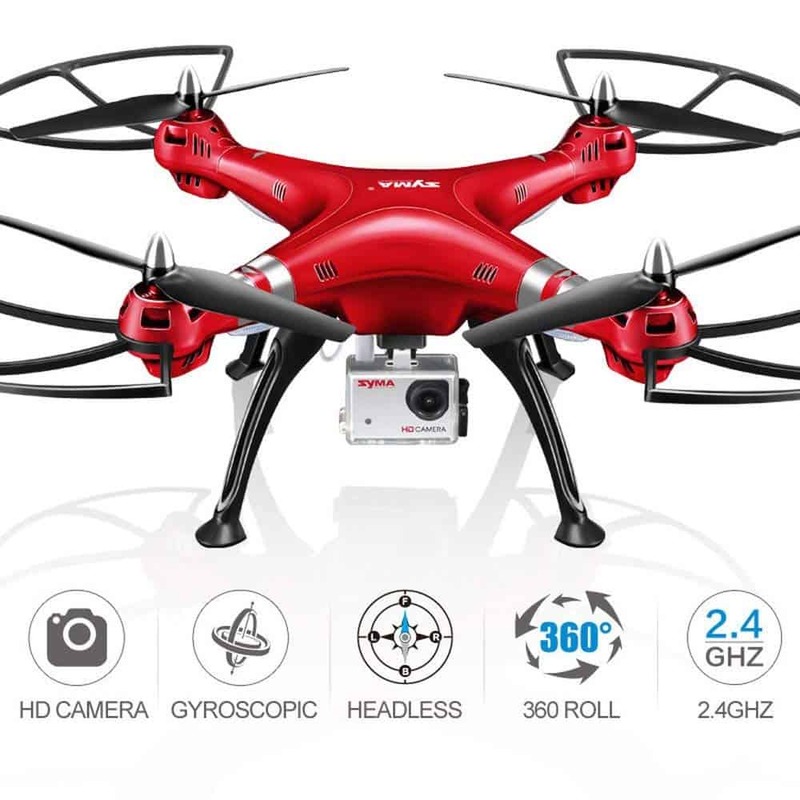 The Syma X1 4 Drone also has an innovative 2.4Ghx technology and strong anti-interference that lets you fly several helicopters at the same time. 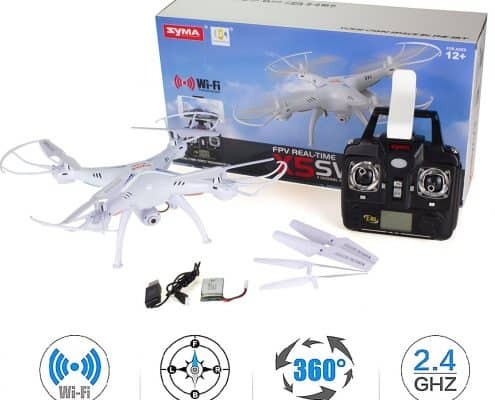 Similar to all the high-end Syma drones, this unit also has a new 2.4Ghz radio control that has a longer control distance. 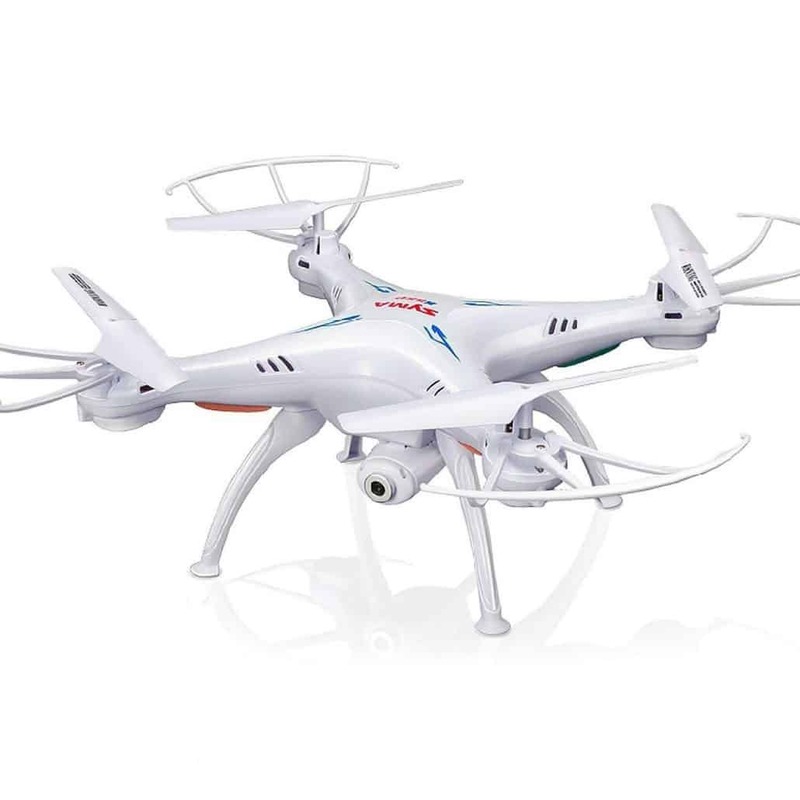 Additionally, it also has a small power consumption and rapid response to provide you with the most control for your flight needs. 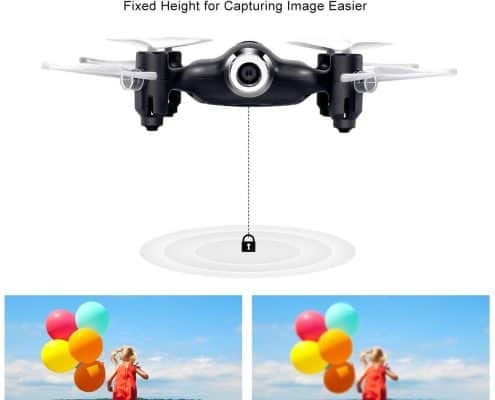 Other important features include the 360-degree evesion which allows the Syma drone to be used both indoors and outdoors. 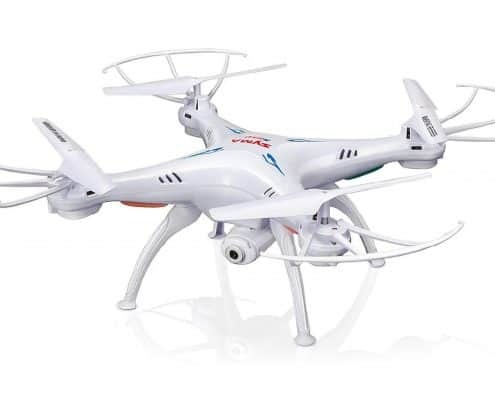 Become more equipped when it comes to enjoying your time outdoors by investing in the Syma X12 and Gyron 4 RC Quadcopter. 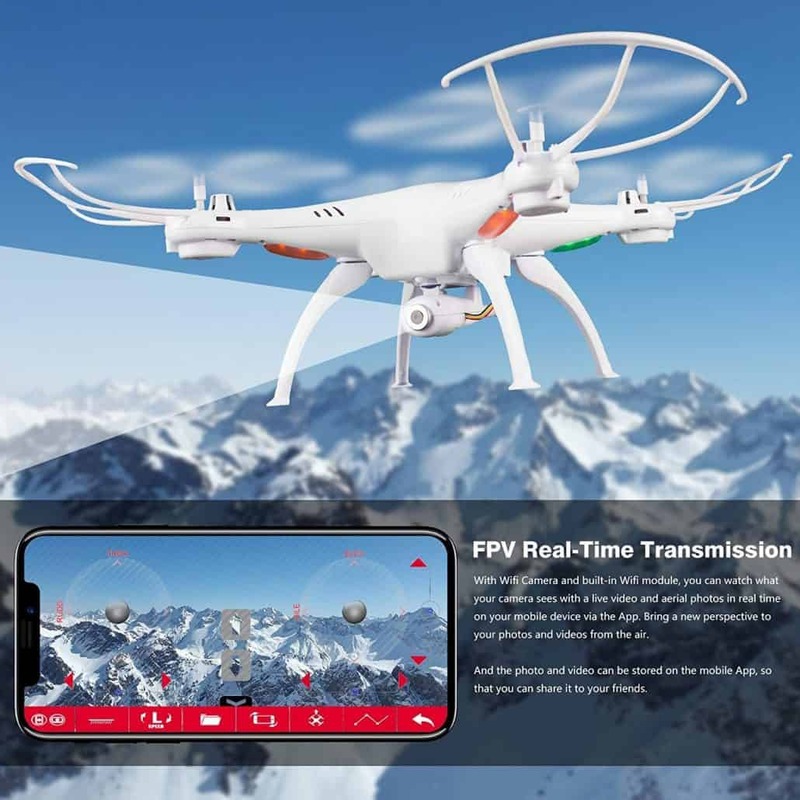 It comes with a powerful 2.4GHz technology incorporated to provide anti interference benefits such that you can fly several helicopters at the same time. 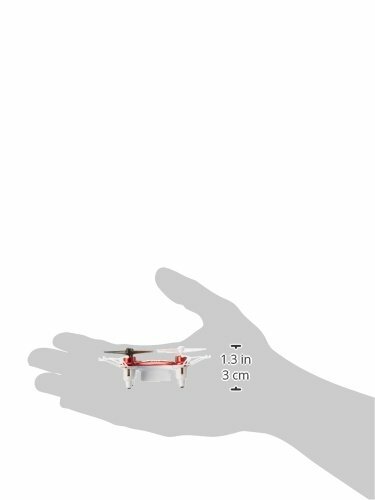 The sturdy and small design makes it easy to maneuver in the air even in the smallest of spaces. 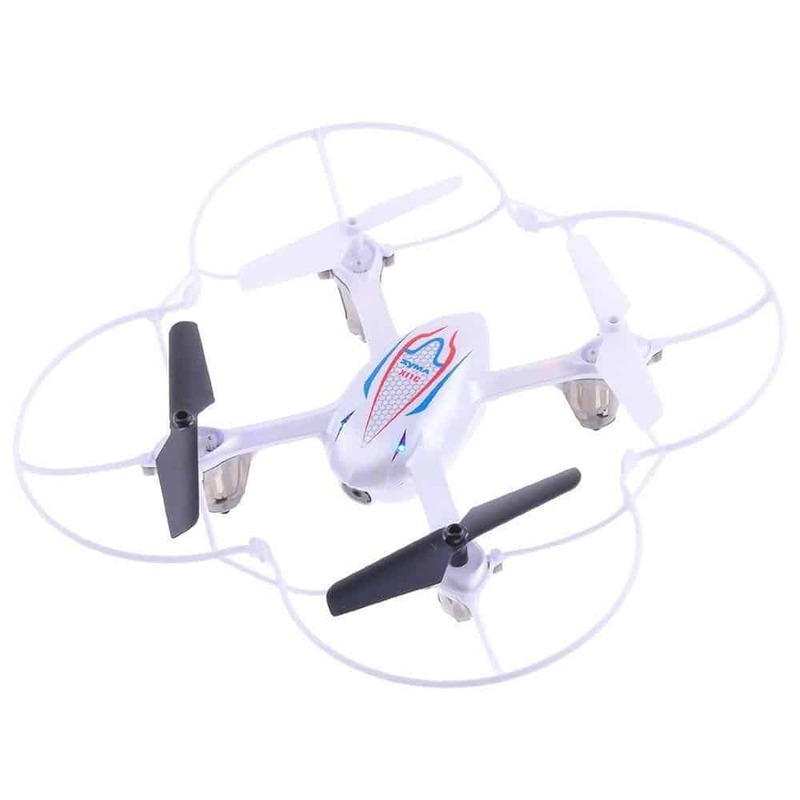 Moreover, the Syma X12 Mini Channel RC Quadcopter allows for 3D 360 degree rotation functions to provide flexibility and performance. 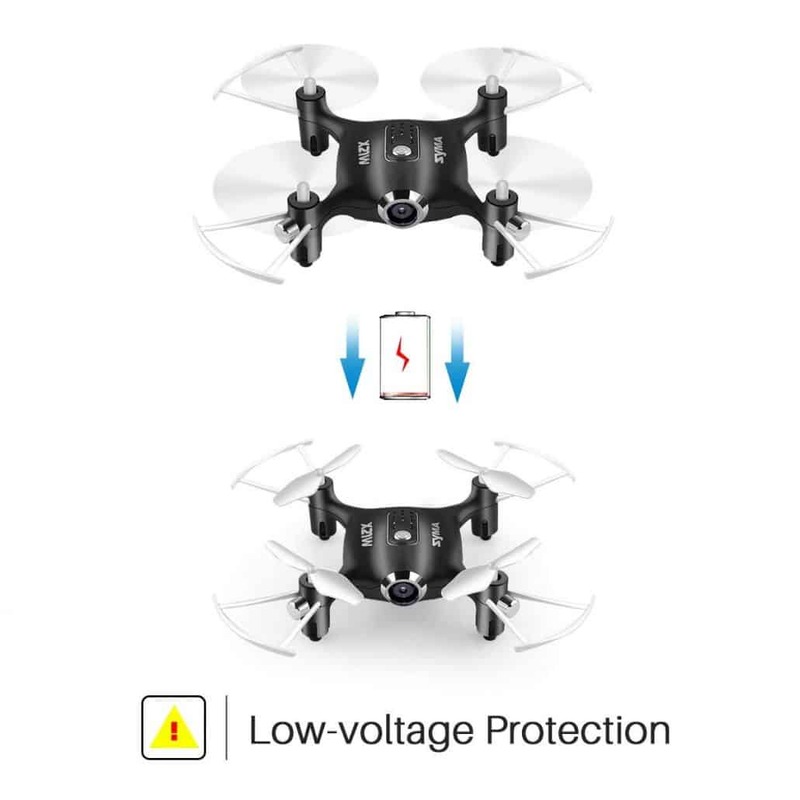 With its low voltage warning feature, this helps you to ensure that battery won’t dies on you as the drone flies mid-air. 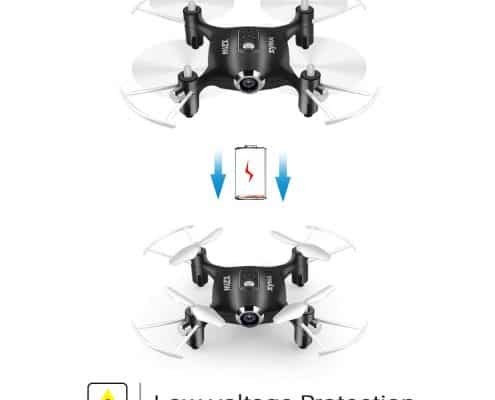 To be specific, the warning notifies you when you should fly the drone back to its original location. This unique design makes it perfect for beginners, and the easy controls make it simple to use at any location. 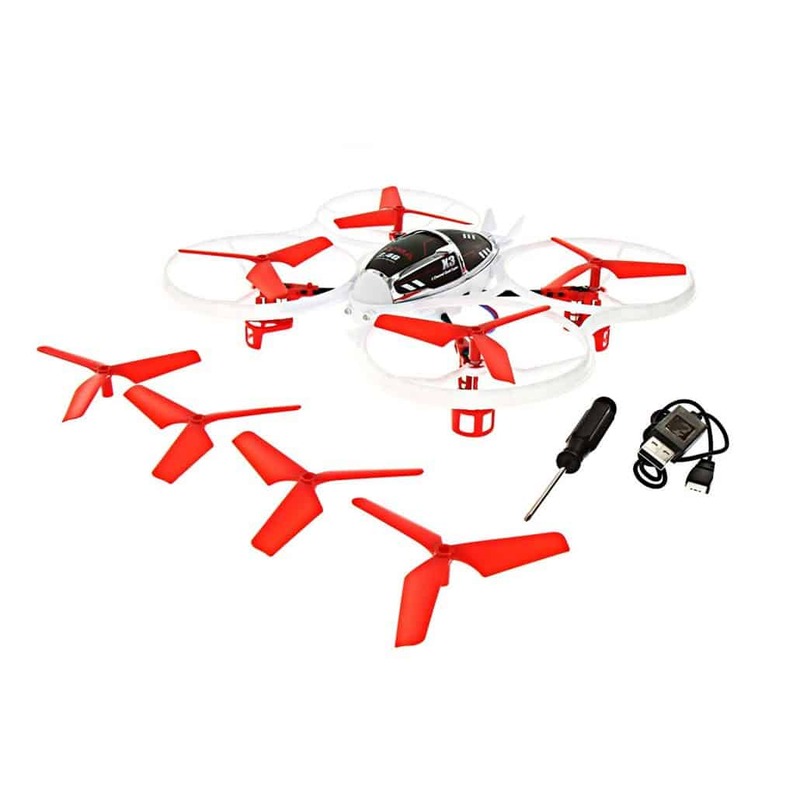 It has a unique six-axis Gyro flying control system and a super stable design even for beginners. 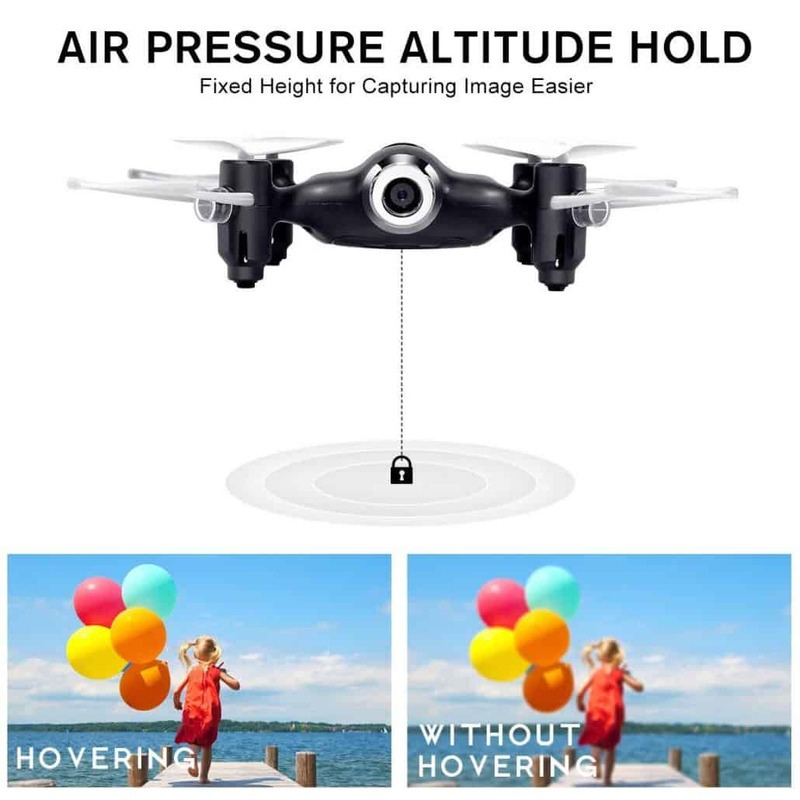 Further lending to its superior design is the fact that has one key headless mode which allows the drone to fly back easily. 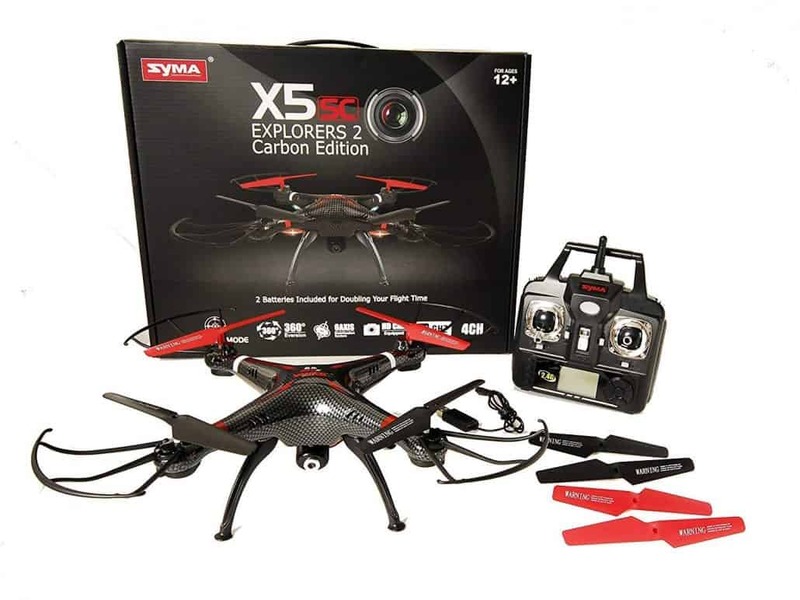 Enjoy the fun of flying a drone by using the Syma X3 4 Chanel Quadcopter. 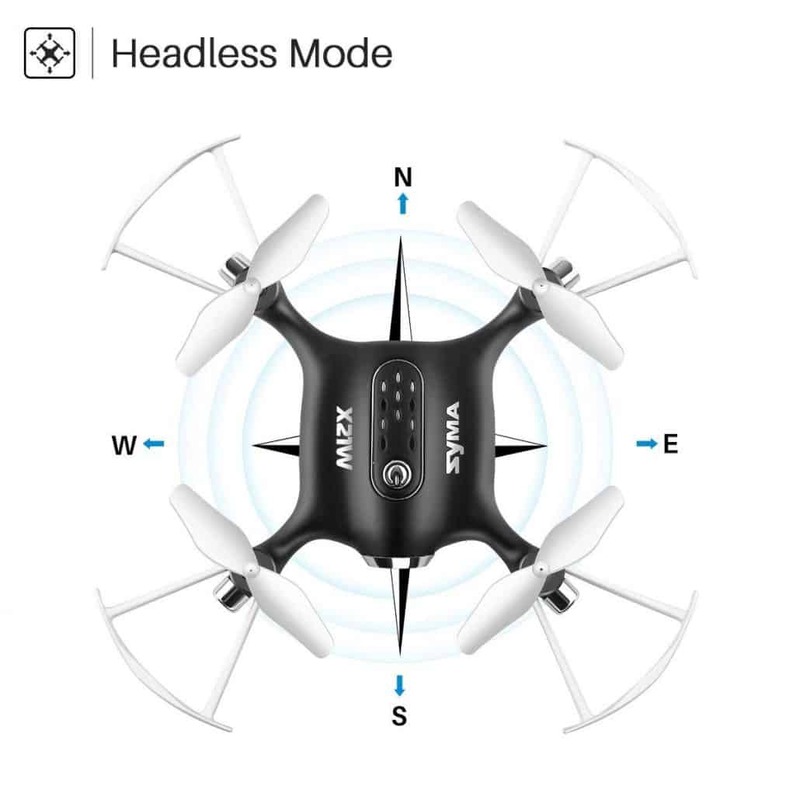 This unit comes with automatic cruise functionality when you activate the auto cruise feature. 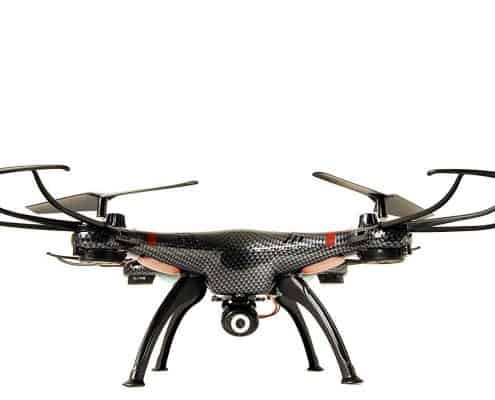 Besides that, this unit will cruise based on a specific trajectory that is set by users. 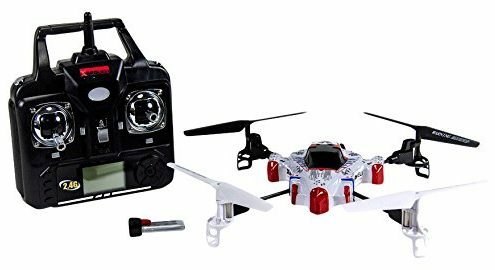 With the inclusion of the 360-degree eversion, this drone provides one key 360-degree rolls in as many three ways. 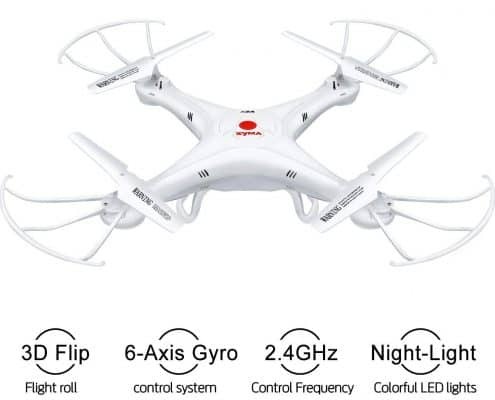 Similar to all the high-end Syma drones, it also comes with a unique 6 Axis gyro and contemporary six-axis flight control system. 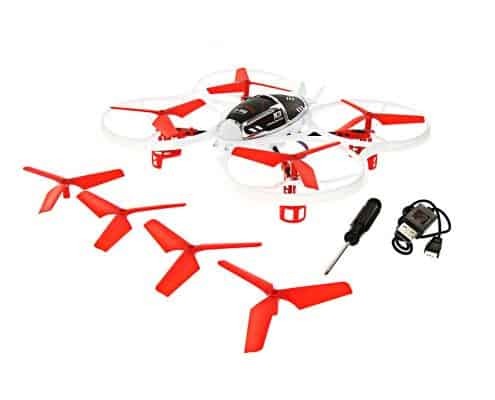 This helps you to achieve simpler control and with improved wind resistance benefits. 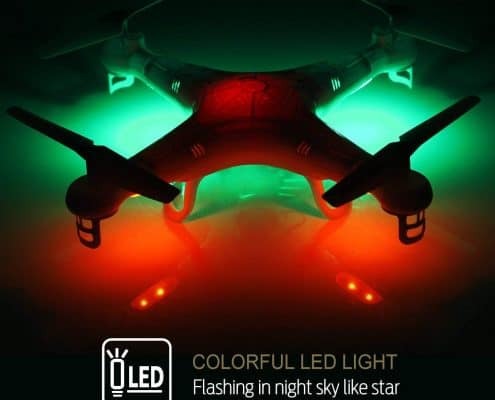 This unit also has special LED lights that let your fly quad even at night. 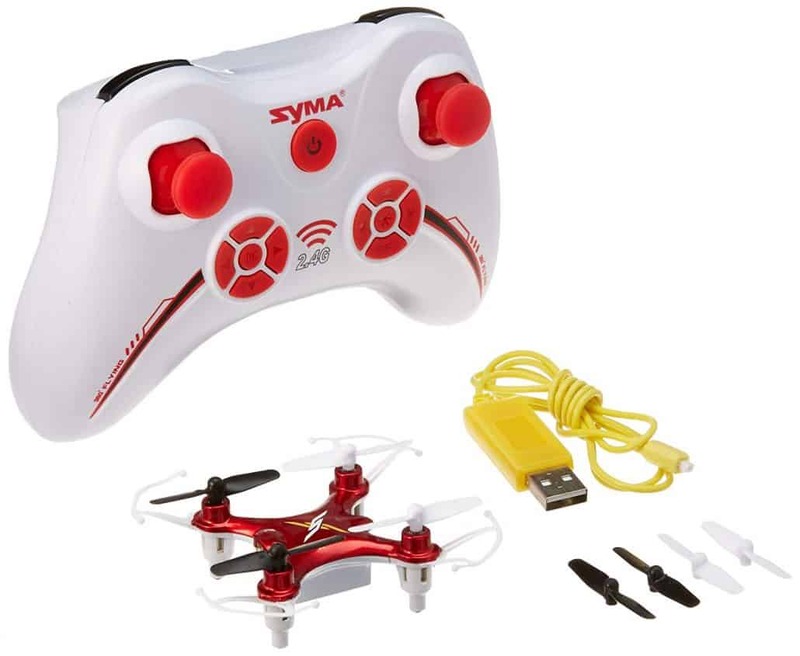 Best of all, this Syma drone has a special return home feature that brings it back to its original flight path. 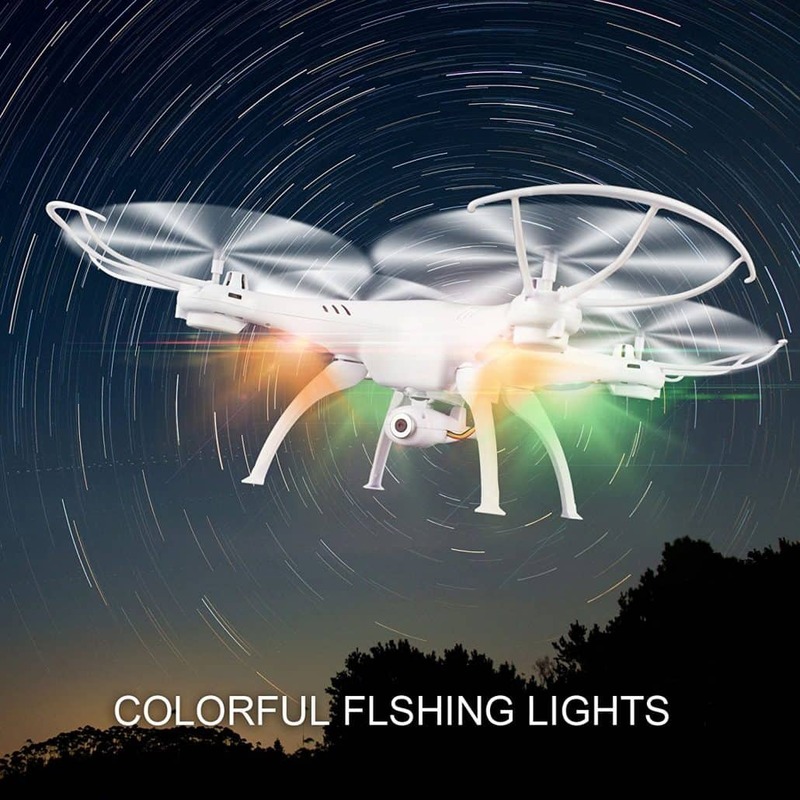 You can also keep track of your quad with the inclusion of the attractive and colorful display. 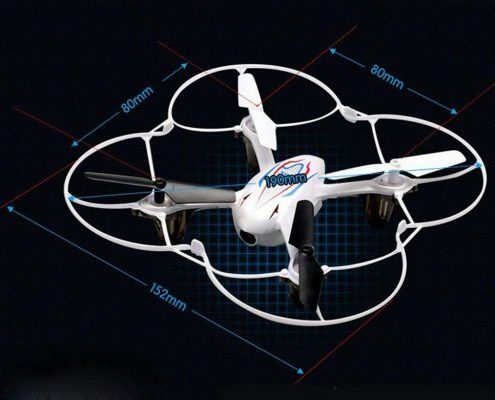 Syma manufacturers have also done well to ensure that this drone has a classic spaceship design. 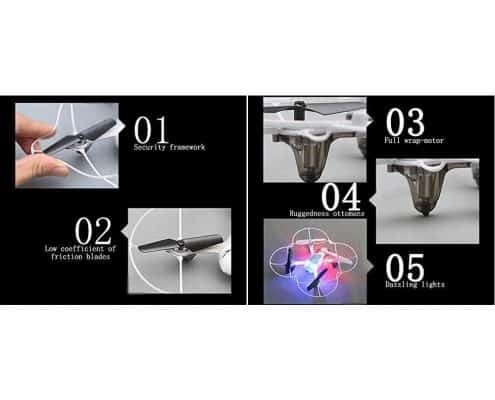 This includes a durable and lightweight frame which small and convenient to fly in any setting.